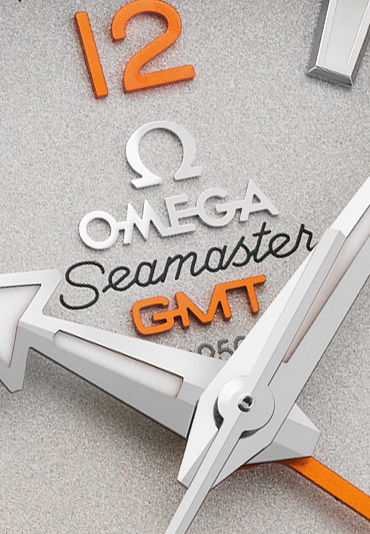 Omega unveils the Seamaster Planet Ocean Orange Ceramic, a limited edition in platinum and a striking orange ceramic bezel insert, a world first. 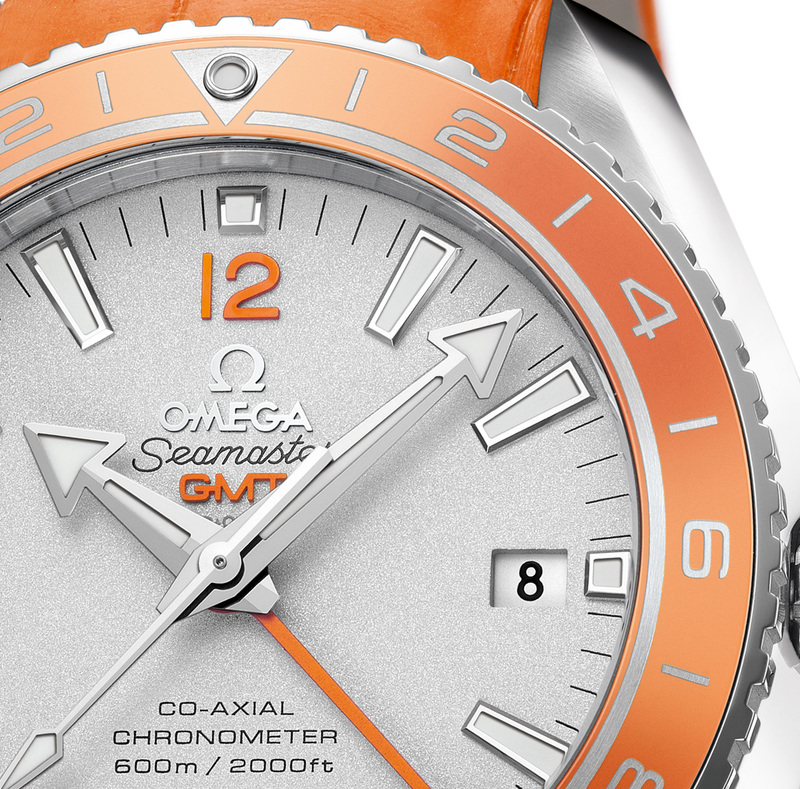 For its first watch with an orange ceramic bezel, Omega has chosen to make an eight piece limited edition Planet Ocena GMT in platinum. 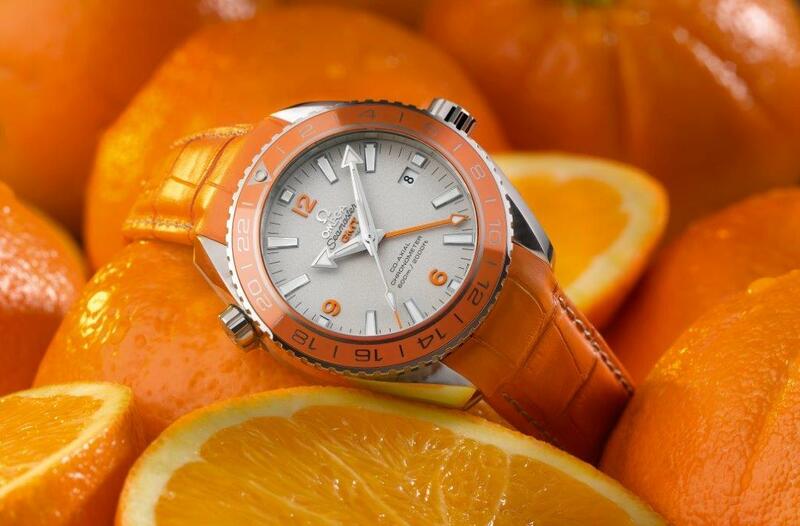 Not only does the Seamaster Planet Ocean Orange Ceramic have a 950 platinum case, but the bezel and dial are also made from platinum. But what’s unique about this watch is not the precious alloy, but the orange ceramic insert in the bezel, the first of its kind. Due to its nature, ceramic used in watchmaking is typically dull and dark in colour, and brightly coloured ceramics are only just beginning to appear in watches. The engraved numerals, scales and triangle on the ceramic bezel are engraved and then filled with 850 platinum, which is permanently bonded to the ceramic base. A .950 hallmark for the platinum dial sits just above the hands, and all the are in white gold. 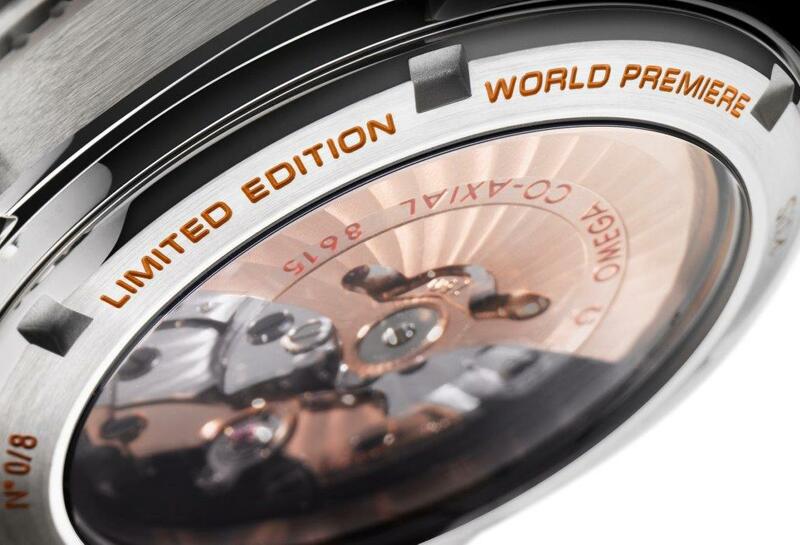 The platinum case has a 43.5 mm diameter, with the Co-Axial calibre 8615 inside. Equipped with a Si14 silicon balance spring, the movement has a four year warranty, as do all Omega watches with the Si14 hairspring. 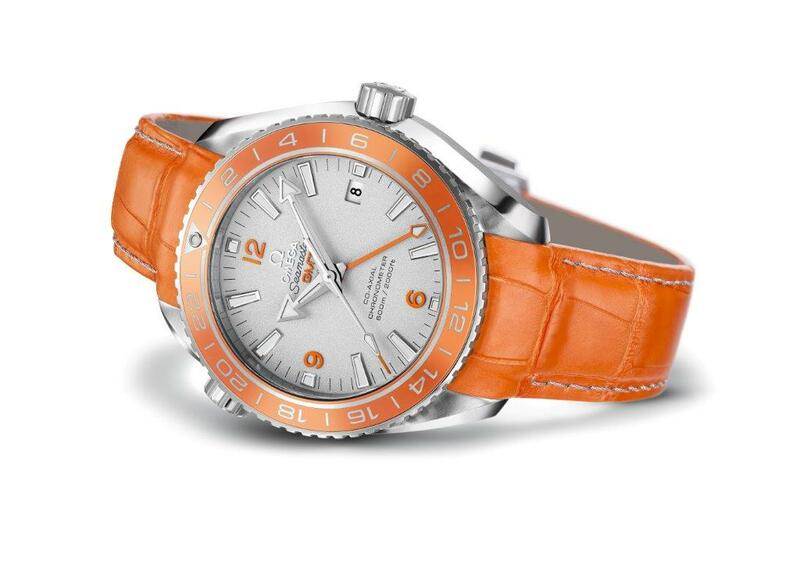 The Seamaster Planet Ocean Orange Ceramic is delivered on an orange leather strap with a platinum deployant buckle. An additional orange rubber strap is also included. This will retail for approximately €50,000 before taxes, or about US$67,700. More affordable steel models with the orange ceramic bezel will be introduced subsequently.